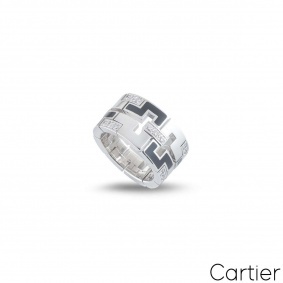 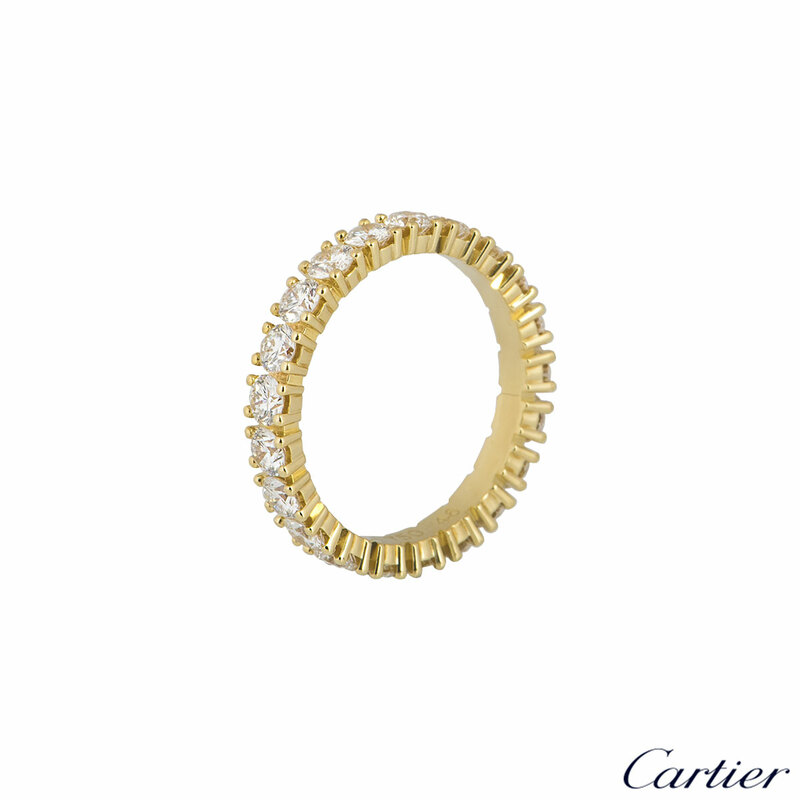 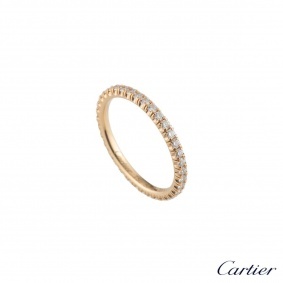 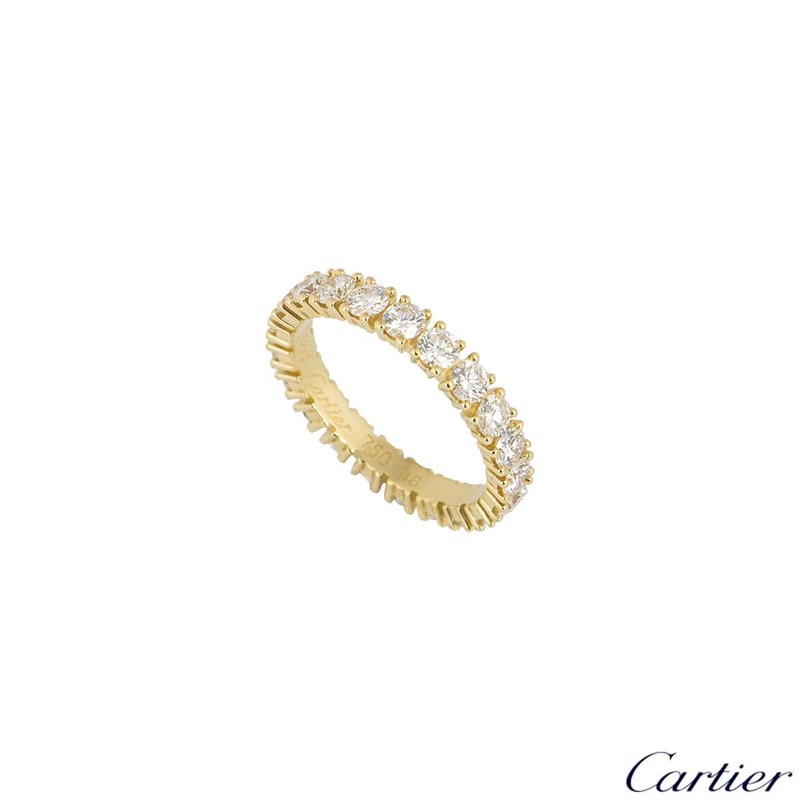 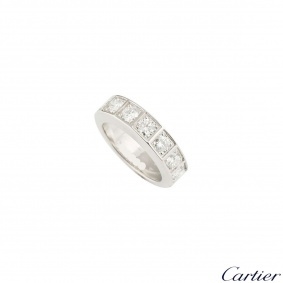 A beautiful 18k yellow gold Cartier diamond ring from the Etincelle De Cartier collection. 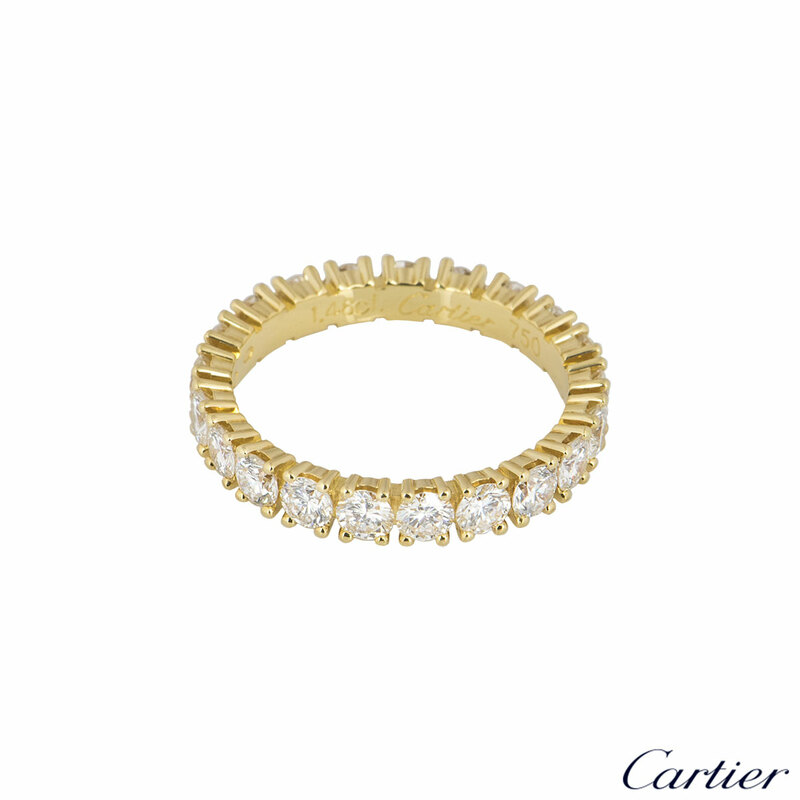 The ring comprises of a full eternity of 21 round brilliant cut diamonds in a shared 4 claw setting all the way round. 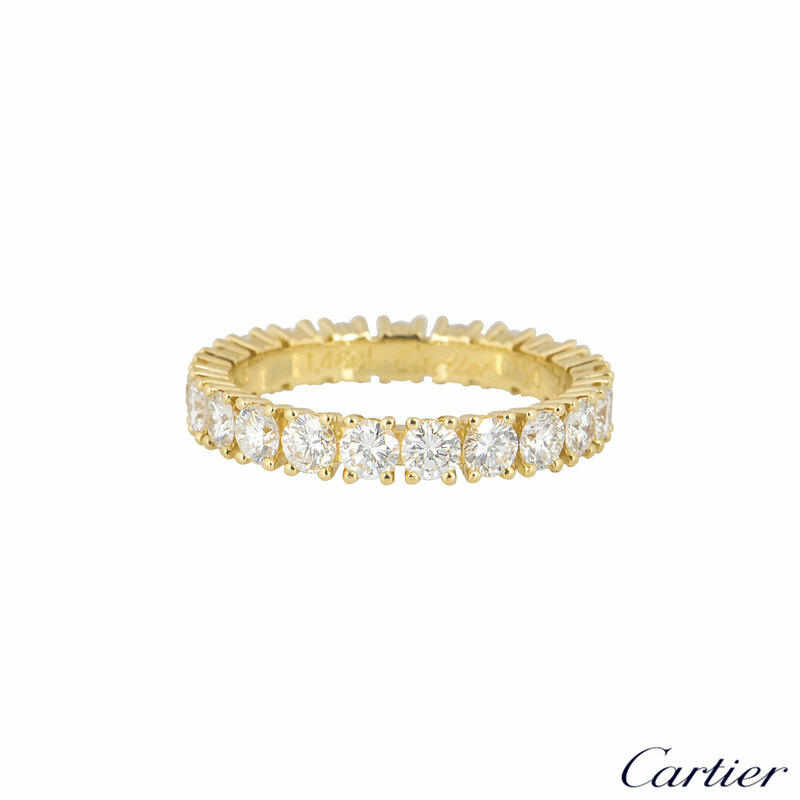 The diamonds have a total weight of 1.48ct. 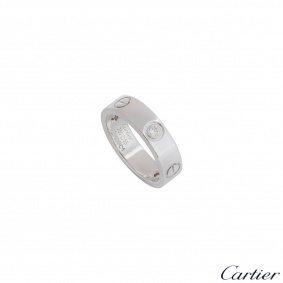 The ring is a size 48 and has a gross weight of 2.30 grams. 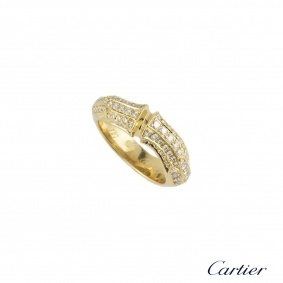 The ring comes complete with a RichDiamonds presentation box and Cartier papers dated March 2004.